Very funny Connect 4 Game, also called "4 in a Row", or "4 in a Line" FREE! 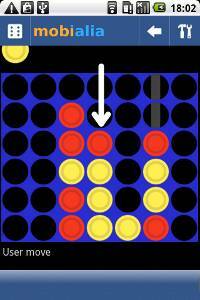 Try to join four discs of the same color on horizontal, vertical or diagonal. Play against your mobile with 10 playing levels or against a friend.